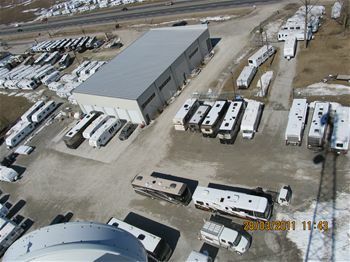 Bella Vista RV Centre Inc, Proudly Serving Barrie, London, Toronto, Whitby, and Ontario. 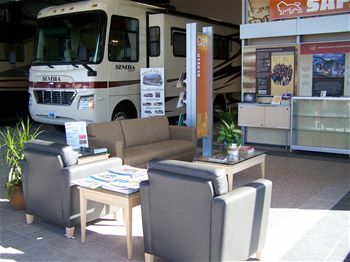 Offers More Than Just Friendly Service What can you expect when you enter the Bella Vista RV Centre Inc showroom? Well, aside from a warm welcome, a great selection of new and used motorhomes to choose from, as well as onsite service, a vast collection of parts and a financing team that understands the needs of drivers like you. If that sounds good to you, come see us today in Barrie, Ontario. it isn't our diverse new and used motorhome or recreational vehicle lineup or even our many services that set Bella Vista RV Centre Inc apart from the rest. It's our unequivocal commitment to the customers we serve from the London, Toronto, Whitby and Ontario area. At our dealership, we don't just want you to enjoy your new Laredo by Keystone RV, Cruiser RV, Viking Tent Trailer, Heartland Travel Trailer or Holiday Rambler Class A Motorhome, we want you to enjoy the entire experience of buying it. If you'd like to see a vehicle in person, visit us at 31 Booth St, Hawkestone,Ontario today and let us treat you right. As RV and motorhome enthusiasts, we all look forward to hitting the open road and exploring Mother Nature's playground. What we don't look forward to is finding out that our Laredo, Cruiser, American Coach, or Fleetwood may need some extra fine tuning or even a repair job. 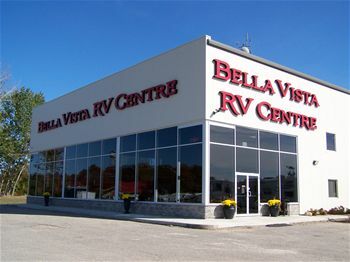 Don't squash your summer road trip plans, schedule an appointment with Bella Vista RV Centre in Barrie, Ontario. We have a great team of professional mechanics whose expertise and enthusiasm for motorhomes makes us one of the most trustworthy and reliable service departments in the region. Whether you've never popped the latch or you're a seasoned DIY vet, there's always a lot at stake under the hood of your motorhome and RV. So when you have to take matters into your own hands, make sure you do so with the best. We only stock genuine parts, so manufacturer-recommended quality is a guarantee. And let's be honest: your model deserves nothing short of perfection.